The farm encompasses 18 acres, including 2 acres of outside market vegetable space, 2 high tunnels, 5 acres of permanent structures and daily living/working space, and 11 acres of land for hay. We are also including lots of equipment and tools to help the next farmer get started. This is a "ready to work" farm for someone who is ready to farm full-time and make a living at it. You could be making money within weeks of moving in. We have owned and operated this property as “Echigo Farm” since 2010. During this time, we have made a full time living on the farm, selling our produce and fermented foods in Springfield, MO and the surrounding area. Location. Less than half an hour from major retail and wholesale opportunities: farmers markets, local supermarkets, restaurants, etc. Flexibility. With numerous outbuildings, a state inspected kitchen with walk-in cooler, high tunnels, and crop land, the farm lends itself to a variety of diverse operations, making it possible to fashion a successful farm enterprise. Besides doing market produce, here are some other possibilities: on-site sales of farm products; agri-tourism destination; small animal operation; value-added and processed foods operation; any combination of these. Ample living quarters. 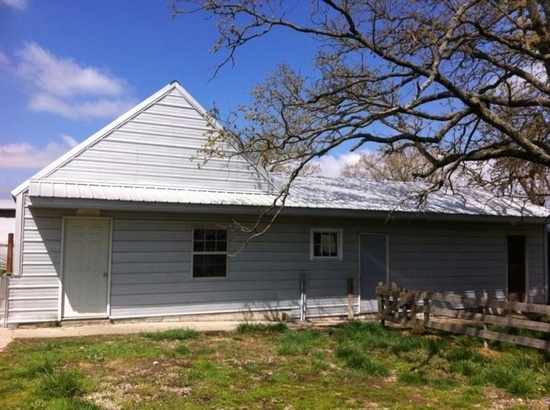 Interns, farm guests, and large families can be housed easily. Ready to farm now. After moving in, you could be farming the next day. This is a fully functional farm, complete with the basic tools and infrastructure needed to get started. This can jumpstart your farm business and save you thousands of dollars from the beginning. Inspected kitchen. This has been a boon to us. Having the ability to easily process produce on-farm offers many more business opportunities than farming alone can. 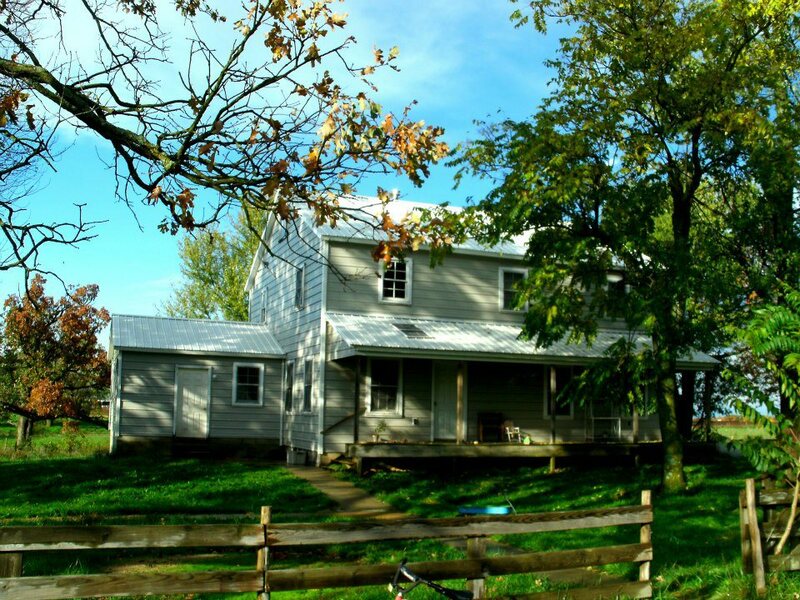 The main living quarters is a two-story, completely modernized Amish home which maintains the distinctive character and functionality of an Amish house with modern conveniences and sensibility. When we remodeled the house in 2010, our goal was to create a home where family living is central: a space were family and friends could enjoy rich and rewarding times. 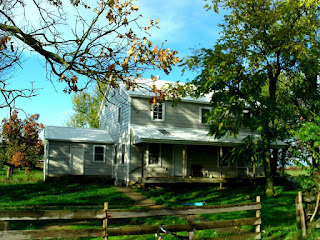 On a rural farm, the farmhouse becomes the center of activity, and we designed the home and amenities with this in mind. At the same time, we have striven to maintain the Amish ideal of simplicity and multi-purpose functionality. The first floor is laid out in a round circuit, with all the rooms connected. Every room leads to another and no room is cut off. We have found this layout to be conducive to open living, perfect for families and shared life. Our children have enjoyed playing and growing in this space. We both enjoy cooking and eating, and the kitchen is designed for those who love food. Two cabinet/counter spaces along the walls are complemented by a large island cabinet in the center of the room. 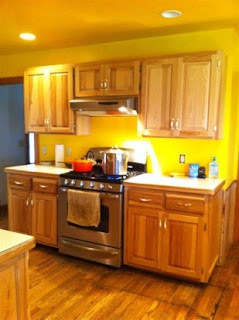 The cabinets are custom built from naturally finished hickory. The island cabinet in particular is great for having children help with the meal prep, and could even be used for doing small cooking demos and lessons in the home, with participants sitting in the open dining room area. Track lighting provides clean and clear light with few shadows. The kitchen includes a convection gas oven/range and a large stainless steel sink. A walk-in pantry provides ample storage for preserved foods, grains, pots and pans, etc. The home is currently wired for high speed Internet by the local telephone provider, Century Link. With a standard router, all rooms of the house as well as the separate inspected kitchen can join the Wi-fi network. The second floor has 4 full sized bedrooms, a walk-in closet, and a full bathroom with shower. The upstairs can be a perfect place for children’s rooms, guest rooms, or office space. 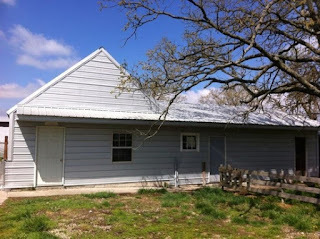 In the past, we have also used one of the rooms as a living quarters for farm interns. 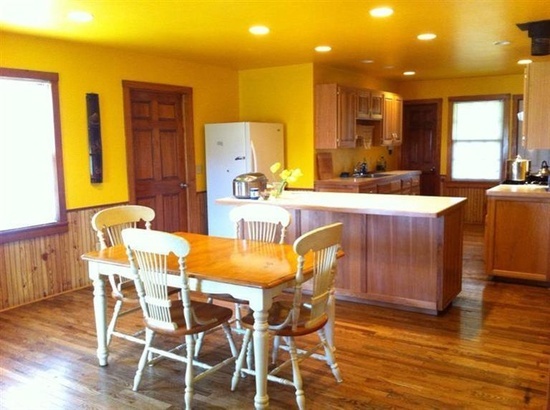 The home is fully insulated and the walls are laid out on standard 16-inch centers. 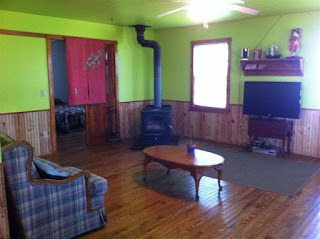 The single high efficiency wood stove in the living room has been adequate for heating the entire house, upstairs and downstairs. Ceiling fans in the living room and master bedroom help distribute heat. 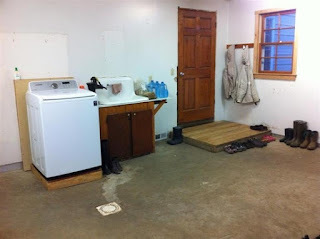 The 14 x 14 fully finished mudroom is our multi-purpose room and laundry room. In the winter, it also makes a perfect space to keep firewood and other necessities. The full basement can be accessed from the kitchen as well as from the mud room. 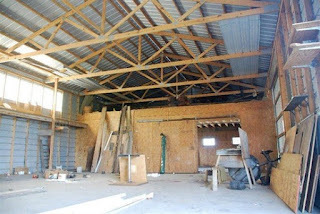 While unfinished, we have used this space as a lighted seed starting room for our spring and summer vegetables. The basement is wired with lights and electrical outlets. The large attic is wired and partially floored. It is easily accessible from the second floor and makes an easy to use, clean storage area. 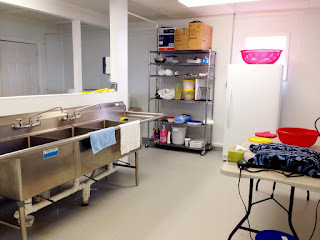 The heart of our food operation is the state inspected kitchen and walk-in cooler facility that is located in a separate building about 50 feet from the main house. The main kitchen is a 20’ by 20’ insulated space, with an oversized triple sink, hand washing station, refrigerator, gas range, stainless steel work table, washable wall covering, shielded lights, and shelving. It has been built according to Missouri Department of Health and Human Services standards as well as USDA regulations and is fully inspected by the State of Missouri. 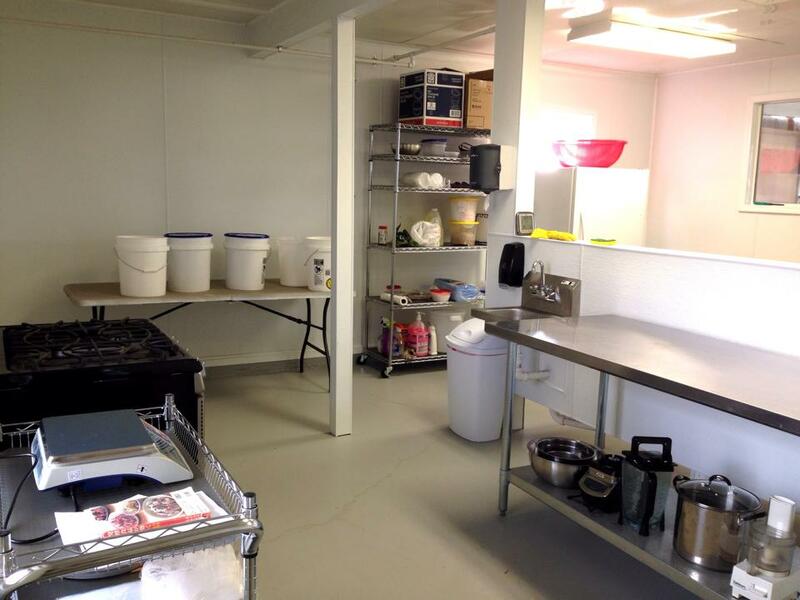 The kitchen is entered via a large adjoining room which we use to store packaging materials and other kitchen supplies. This separate entrance provides a barrier that helps keep the kitchen free of dirt, debris, and contamination. The walk in cooler is located behind the kitchen. A former Amish ice house, it is a 10’ by 10’ space enclosed by 8 inches of blown insulation and an insulated floor. It is cooled with a 220-volt window unit air conditioner powered by a Cool-Bot device. The cooler also includes built-in, finished shelf space. Next to the kitchen is the main workshop. 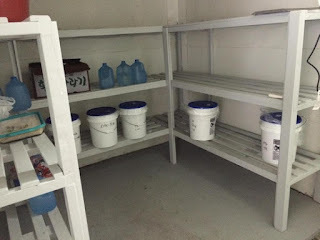 This is where we keep most of our farming equipment and supplies. The large size makes it ample for nearly any project. Several season’s worth of row cover, drip tape, seed trays, etc. can be stored here easily. With two large bay doors, this structure can also be used as a two-car garage or tractor storage space. The farm has two 30’ by 96’ high tunnels, produced by Zimmerman Welding in Versailles, MO, one of the most respected and well-reviewed high tunnel manufacturers in the Midwest. 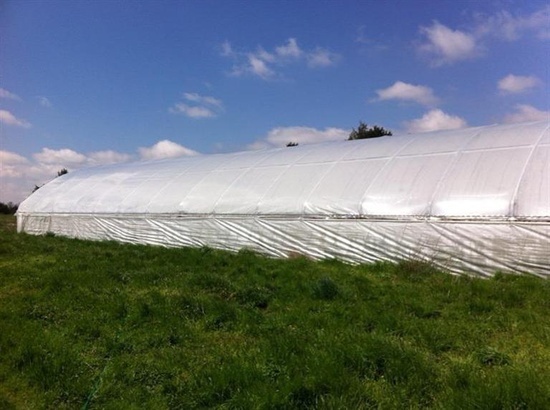 The first high tunnel was constructed in 2011 and the second in 2012. 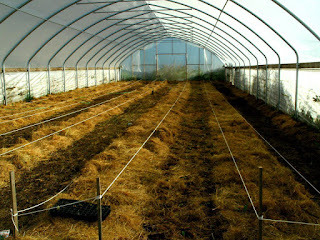 We have used the tunnels for tomato and cucumber production in the summer months, followed by greens and root crops in the winter. 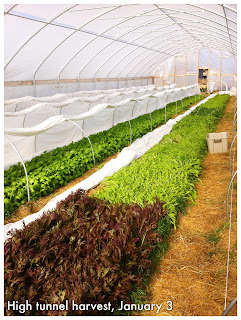 During the winter, we have used low tunnels inside the high tunnels, with up to 4 layers of floating row cover to regulate and modulate heat. With this inexpensive, passive system and no supplemental heat, we have been able to harvest daikon radish, turnips, lettuce, and Asian green mixes from fall to early summer, even during prolonged cold snaps. 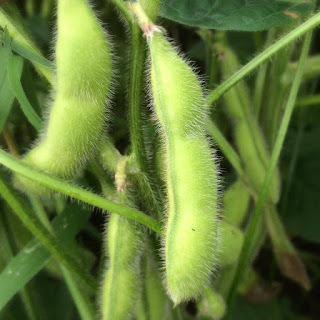 There is strong demand in southwest Missouri for anything fresh in the winter, and the cold months have proven as busy and profitable as summer for us. Though we have never had a specific use for the barn besides storage, we appreciate the character and presence it adds to the farm. The Amish kept their horses and milk cows here, and the stanchions for milking remain. 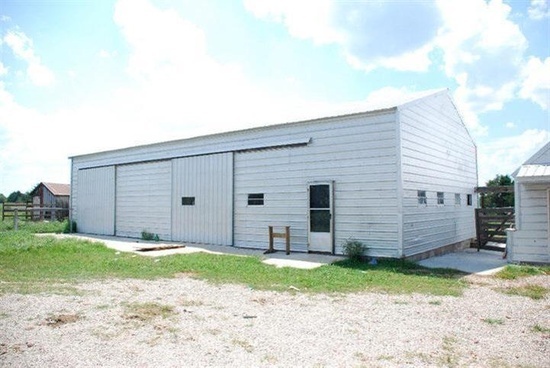 It is a good, low maintenance building despite its size and provides a strong visual anchor to the farm. This is a good all-purpose storage shed. The Amish children who lived on the farm before kept baby goats and rabbits here, and the small stalls remain. The roof and walls are simply insulated to protect the building from temperature extremes, especially heat. This could be a good place for a small rabbit or other animal operation. 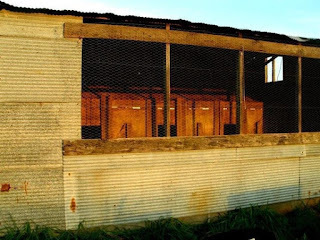 This is a hog farrowing barn that we repurposed to be a roosting home for our laying hens. 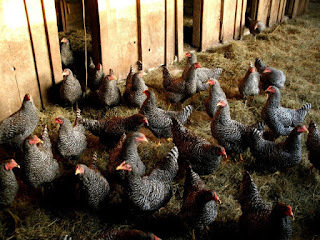 We raised barred Plymouth rocks free range and encouraged them to roost in here at night. Open and well-ventilated, the barn can accommodate over 100 birds for sleeping and laying. It is predator-tight and will provide a safe nighttime home for your birds. This partially enclosed structure has been a good storage area for our T-posts, wood stove kindling, trellis stakes, and other supplies. When you come to our farm, you will surely find many flaws and rough patches. As with any project of this size, there are some projects that remain unfinished. We have taken a Joel Salatin approach, focusing on the success of the business before the polish of the cosmetic details. Currently we are in the process of finishing the second floor of the main house, specifically the window trim and baseboard, and the door to the upstairs bathroom. Outside, we are currently waiting for good weather to change the plastic on the roof of our first high tunnel. The plastic is rated for four years and we got five good years out of ours. We have the plastic on the farm and it takes about 3 hours or so to change. We are also changing out the air conditioning unit for our walk in cooler. We expect to have that done by January 15th. We have always focused on (1) making a good living first, that is, concentrating on the areas of the farm that are most profitable, and (2) making a comfortable space, that is, taking care of the spaces that we use every day and ensuring that these are enjoyable, safe, and pleasing. We hope you understand! 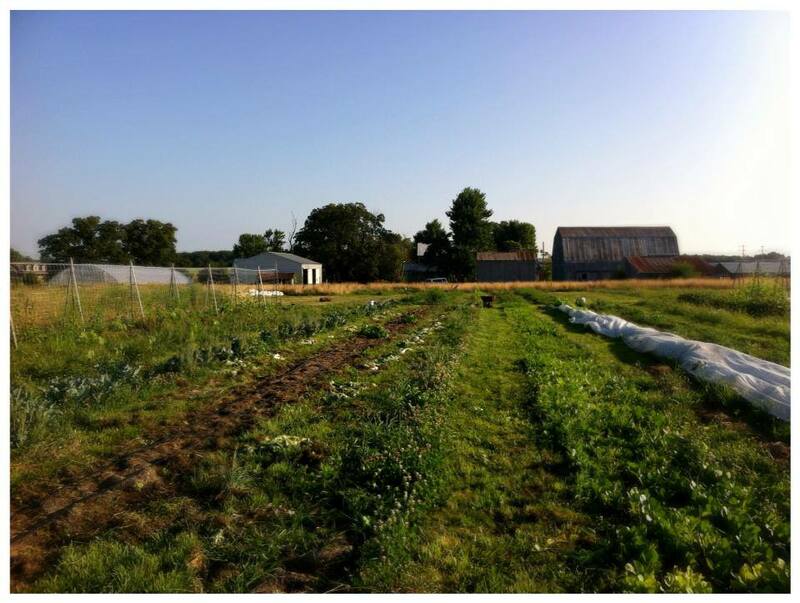 During our first two years, we maintained nearly 4 acres of market vegetables in mulched beds. 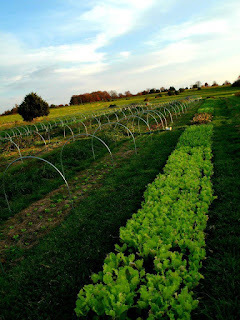 While the harvest was bounteous and supported our CSA, it proved to be too much work for us and we cut gradually back to two acres. 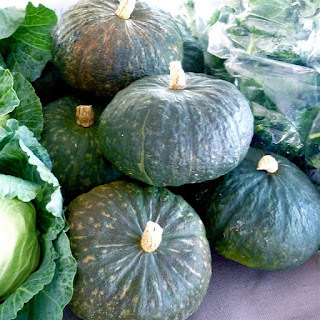 We have found that a well-planned 2 acre operation is actually more than adequate for market and CSA needs. We have grown outside from early spring all the way into January, depending on how cold the winter is that year. 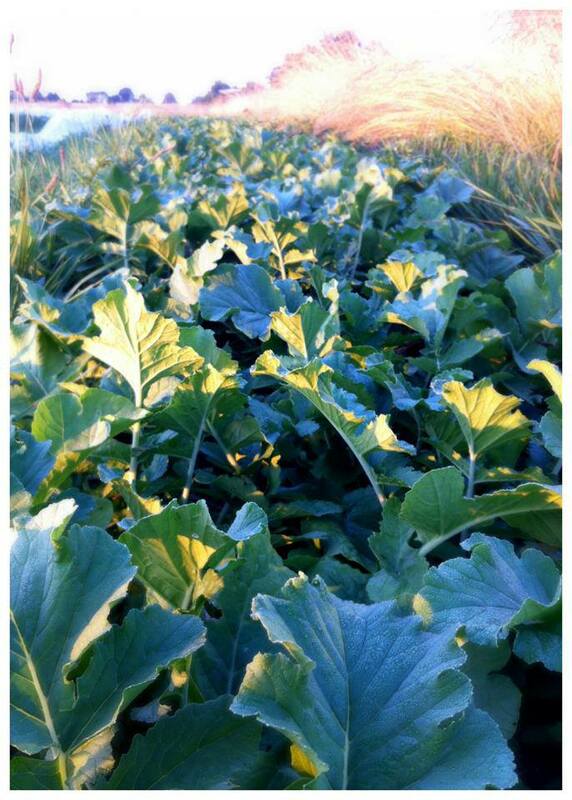 With sufficient row cover and mulching, some crops can be overwintered outside. Since the fall of 2010, we have been fully no-till. We use an approach based on the one outlined by Masanobu Fukuoka in “The One Straw Revolution,” utilizing a system of straw mulch to clear the surface of the ground while building the soil from the bottom up as nature does. Our no-till approach has helped suppress aggressive weed growth, prevent erosion and nutrient loss, and maintain the structure of the soil. In the 5 years we have used intensive non-mechanized no-till practices, the condition of our soil has exceeded our expectations. We have used composted chicken manure and organic sea minerals as our main soil supplements. During our first two years, we applied rice hulls under the mulch to help aerate the soil. We have relied on the straw mulch to provide the bulk of nutrients to our soil, as well as cover crops, particularly tillage daikon. We have also practiced regular crop rotation, for balance nutrient distribution and avoid outbreaks of soil-borne diseases. We farm in such a way that we do not need many machines. Our main farm equipment is a small lawn mower. 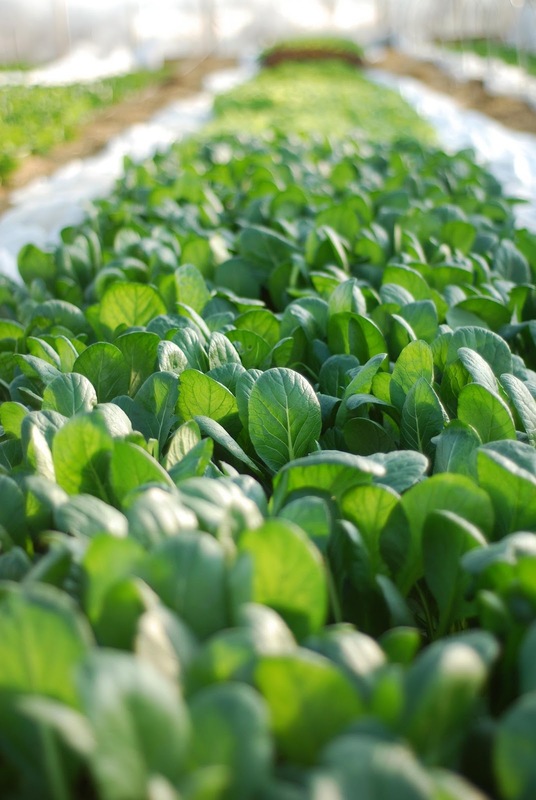 For insect control outside, we rely on floating row cover, timing, and environmental management rather than synthetic chemicals. The only exception is that we have applied USDA certified organic PyGanic pyrethrin spray for cucumber beetle control in the high tunnels. There is no large scale spraying on other farms in our area, so pesticide or herbicide drift has not been an issue. As far as animal pests, we have groundhogs and deer. The deer population is not large, and they are deterred with floating row cover. We trap one or two ground hogs per season. This was hay and pasture land up until 2010 when we purchased the place. We have grown around 70 different varieties of Asian vegetables since then, focusing on cucumbers, tomatoes, watermelon, eggplant, and edamame in the summer and greens and root crops in the fall and winter. The soil is not overly rocky (for the Ozarks) and we have not found anything that could not be grown well here. There is a 2 inch main line running off the well head to the north side of the outside fields. 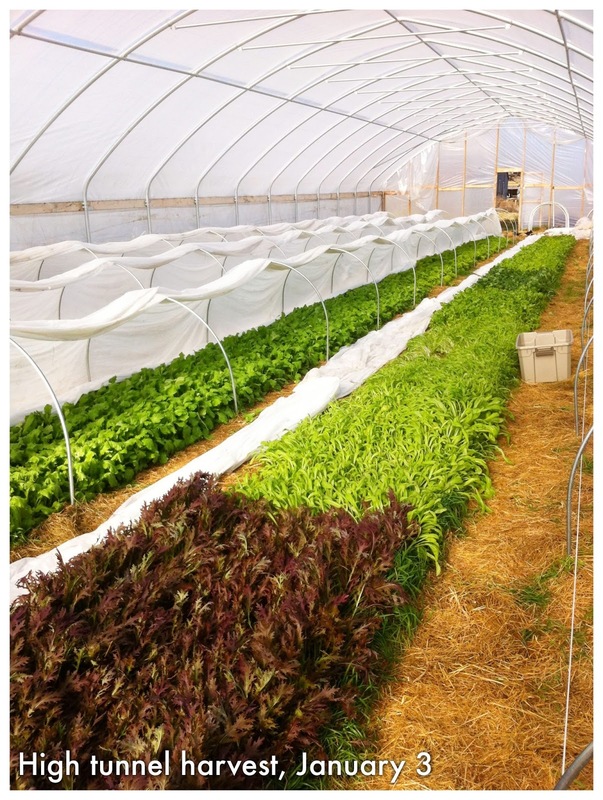 From there, we have used 2 inch lay flat irrigation pipe, spin filtered and regulated to 10 pounds per square inch, to run header lines to all our outside beds and the two high tunnels. From there, we use 2 or 3 strips of plastic drip tape per bed. The spin filter and regulator as well as all lay flat irrigation line are included with the farm, as is. This system has been more than adequate for our needs; we have irrigated up to 4 acres in the past, divided into quadrants. 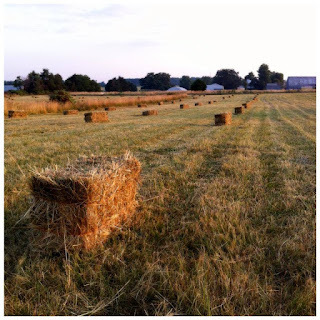 Twice a year, we have the hay baled on the back 10 acres, yielding between 500~600 small square bales per harvest. These can be sold off the field for an average net profit of $1.50~$2.00 per bale, but we have used most of ours for mulching. The farm is located 6 miles west of Seymour, MO, and 3 miles east of Fordland, MO. We have always been thankful for the helpful neighbors and the comfort of this rural community. Whenever we have needed anything, we have found help and advice right away. 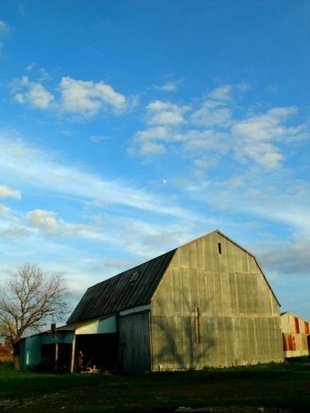 The cost of living in Southwest Missouri is low, and property taxes in Webster County, where the farm is located, are quite reasonable for the area. The Springfield/SW Missouri area is a growing market for local and specialty crops. In the 5 years we have been farming here, we have seen tremendous expansion of the demand and awareness of local products. We sell over 60% of our produce and value-added products at Farmers Market of the Ozarks (FMO), a large farmers market located on the south side of Springfield, 22 miles from the farm. 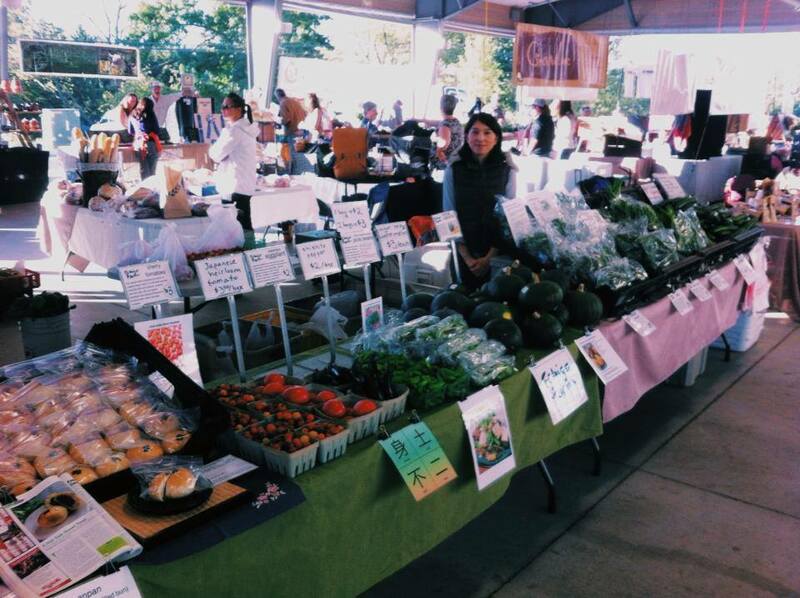 With around 100 vendors, FMO gets over 5000 visitors every Saturday morning. It is one of the largest farmers markets in the state of Missouri now, and has been consistently ranked as one of the best in the country. This has been the main source of our business, and we have enjoyed watching the market grow over the three years of its existence. We sell our products wholesale to three different stores in Springfield. Our main business has been with Mama Jean’s Natural Market, a locally owned chain of three stores. 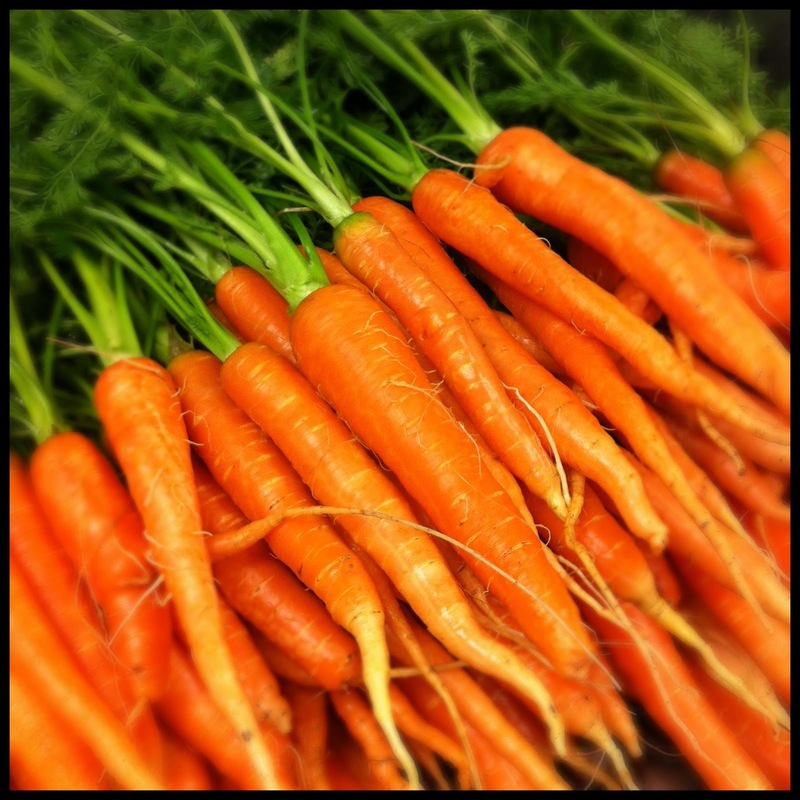 Mama Jean’s carries a wide selection of natural foods, bulk foods, health supplements, fresh produce, and local meats. The customer base is very loyal and progressive minded, and our products have found much support there. Selling at Mama Jean’s has been a wonderful complement to selling at the farmers’ market. Thanks to Mama Jean’s support, we have been able to host cooking classes and participate in several large food events. Homegrown Food is another local supermarket that strives to be a traditional neighborhood market while focusing on Missouri-made products. This store has also built a strong, loyal, and local following in its location near Missouri State University. The Springfield metropolitan area has a population of 250,000 and the food culture is still growing in both demand and diversity; there is a large potential for nearly any kind of local food enterprise. Kansas City and St. Louis are both only a few hours away, and many farmers and value-added food makers have expanded into these markets as well. We considered getting USDA organic certification at the beginning, but determined that our revenue streams (farmers market and local supermarkets) relied more on word-of-mouth and direct contact rather than national certification, making the certification an unnecessary expense. We follow the organic standards and make sure that we meet and usually exceed all national regulations. If the buyer of our farm would like to become organically certified, we can provide detailed information on cropping histories, inputs, etc. We will do whatever we can to assist in any future certification process. You may be wondering why we are selling our farm. We are an international family, with family and friends in Japan and the U.S. From now, we are wanting to transition into a life that will allow us to move back and forth between the two countries a little more easily. We would like to continue our project of introducing Japanese food culture and fermentation culture in different arenas. The farm has been a deeply felt and essential experience for us these past five years, and we would love to pass it on to new owners who are looking for the opportunity that we found here. Follow this link for the full listing, including price and contact information. If you want to read more about our philosophy of farming and experiences on the farm, check out the short essays on Mark's blog, "One straw, many weeds."